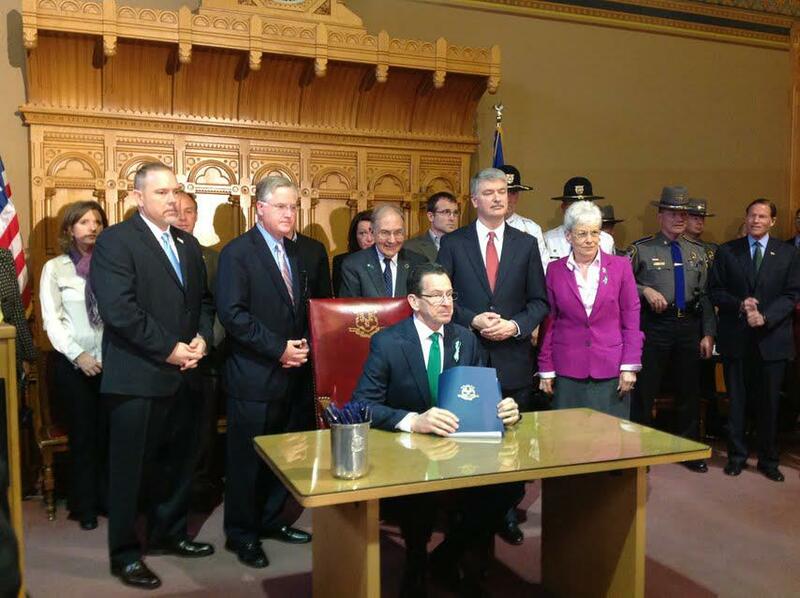 Because of the active engagement and support of thousands of Connecticut residents, the Connecticut General Assembly passed sweeping gun violence prevention regulations touching many different aspects of the issue. The legislation, Senate Bill 1160, passed on April 3, with the Governor signing it into law the following day. Large capacity magazine holding more than ten rounds are now banned in Connecticut. Persons in lawful possession of such magazines prior to January 1, 2014, shall apply to the Department of Emergency Services and Public Protection (DESPP) to declare possession of such magazine. Persons who have declared possession prior to January 1, 2014 may possess them only at the person’s residence or place of business or while on the premises of a target range or private shooting club. Assault weapons as defined by the new bill are banned (including the Bushmaster AR-15, the weapon used in Sandy Hook). Persons who lawfully possess assault weapons banned by this act must apply by January 1, 2014, for a certificate of possession for the weapon. No assault weapon, legally possessed with a certificate of possession, can be sold or transferred. Persons who move into the state in lawful possession of an assault weapon must render the weapon permanently inoperable, sell it to a licensed gun dealer, or remove it from the state. Private sales or transfers of any firearm (previously this was required for handguns only) cannot be legally done unless the seller receives an authorization number from the DESPP. DESPP must complete a background check on buyer/transferee before issuing authorization. This final piece establishes universal background checks for any sale of a firearm of any kind in any place in Connecticut. A permit or eligibility certificate will be required, beginning October 1, 2013, to purchase ammunition or long guns (rifles and shotguns) in Connecticut. Persons with psychiatric disabilities who have been confined within the preceding sixty months (formerly this “look back” period was twelve months) or who have been voluntarily admitted for persons with psychiatric disabilities within the preceding six months (new) cannot possess a firearm or receive an eligibility certificate. Any person who sells, delivers, or transfers more than five firearms after October 1, 2013, shall be guilty of a class B felony for which three years of the sentence imposed cannot be suspended or reduced. DESPP shall establish and maintain a registry of all offenders convicted of an offense committed with a deadly weapon, not later than January 1, 2014. The bill had bipartisan support. The final vote count in the Senate was 26-10, with 20 of 22 Democrats and six of 14 Republicans in support. The House vote was 105-44, with 85 of 99 Democrats and 20 of 52 Republicans in support. One Democrat and one Republican were absent, each with serious illnesses. Click here for detailed information on the bill, provided by the Office of Legislative Research. 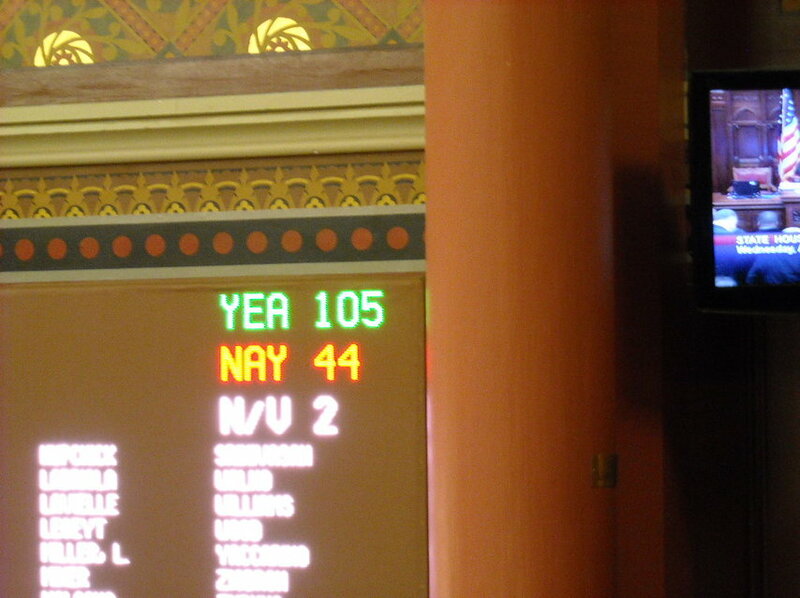 Click here for full Senate Vote on SB 1160. 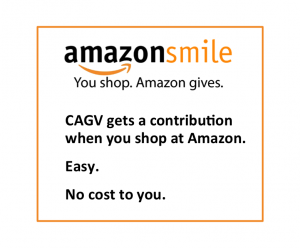 Click here for Full House Vote on SB 1160.